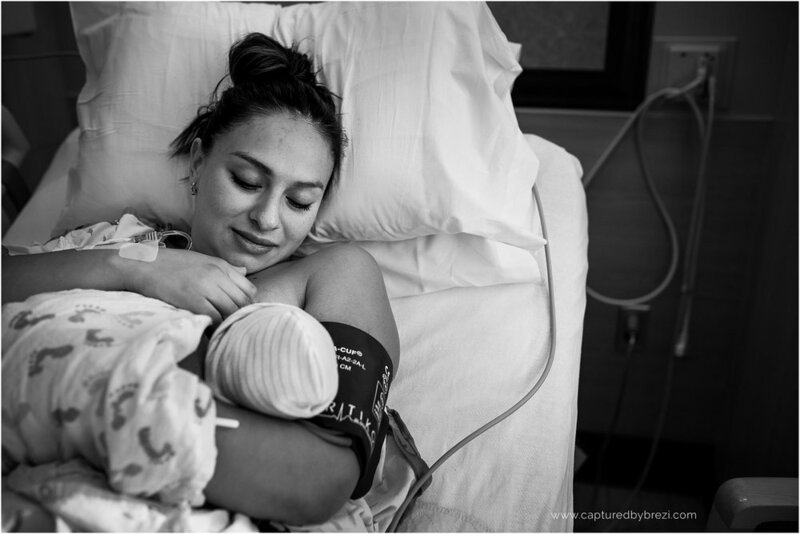 Birth of Jetzabel - Beautiful Natural Birth in Pueblo Colorado - Colorado Birth Photography — Love is Photography LLC. Yari and I chatted for an hour or so, while our kiddos played in her lovely home. I always love being able to connect with the families that wish to hire me to be with them on their birth day, in such a fun and casual meeting. It's one of the best ways to break the ice; wrangling children and trying to have that infamous mom talk full of interruptions, fun, and play. My kiddos quickly made friends with hers, and I only wished we didn't live an hour away so we could have some playdates. On a gorgeous sunny September day, I took a drive down to Pueblo after Yari texted me saying she was heading to the hospital. This was my first birth that I had ever had at St. Mary Corwin Hospital, or in Pueblo at all. I love being able to expand where I work, and travel. Meet new people, new women, new birth workers that all share a similar fascination and love for birth. I walked into a peaceful room. Yari and her husband were nestled together, holding eachothers hands and quietly laughing in between contractions. It's these perfect moments that I get so much joy. To see two people, so in love, working together, and comfortable enough with me to get those vulnerable pictures they get to keep forever. Pregnant with her 5th beautiful baby, she labored naturally and confidently while the room began to fill with interested students, nurses, doctors, and midwives. She calmly pushed when she was ready, and little Jetzabel was born.